Such a lovely weekend out antiquing with my hubby. The weather in Northern California has changed from being very hot to mid 70s with cool evenings…. almost Fall like. I don’t know how long that will last before we get another scorcher but it is fantastic and perfect for a weekend of antiquing. 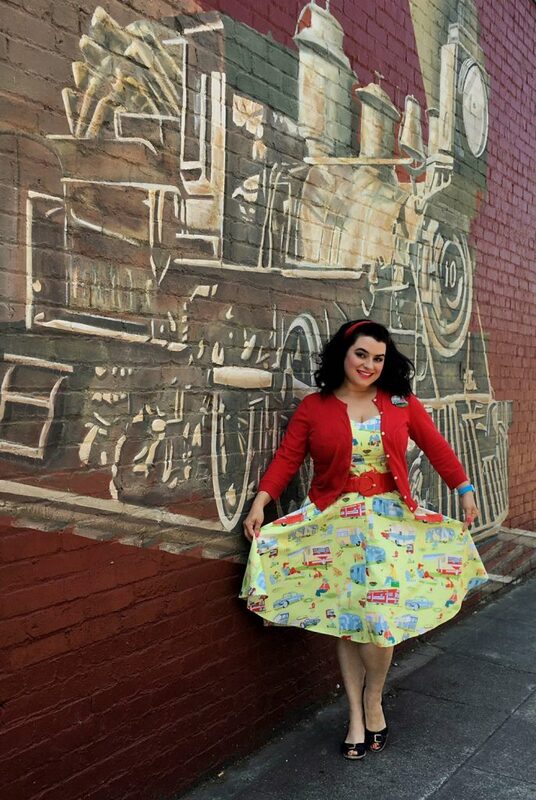 We stopped at a couple antique malls; one in Santa Rosa ‘Whistlestop’ that has a big train painted on the brick building and the other in Sebastopol ‘Antique Society’. Both are multi dealer malls so there is always lots to see to pick through. 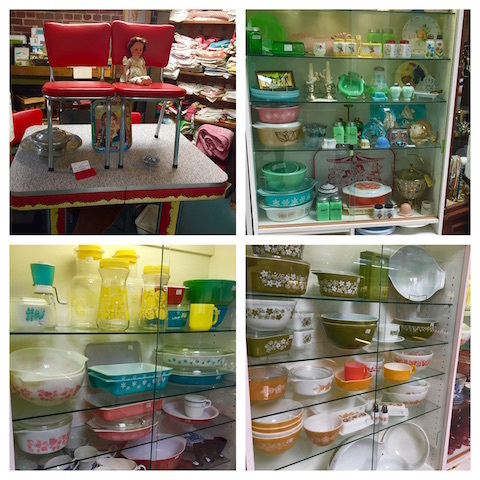 Here are a couple pics of the goodies inside the malls and you can see the one in Sebastopol had a lot of vintage Pyrex and I was thrilled because I had been searching for quite sometime now for the turquoise snowflake square baking dishes. I am not a expert when it comes to Pyrex and don’t know if items should have lids or not or what the difference between ‘space savers’ or ‘baking dishes’ are but, I am collecting the turquoise snowflake (yes, because it is turquoise and you all know it is my favorite color) and now I have another couple pieces to add to my set. For the record, these two oblong square shaped pieces did not have lids. 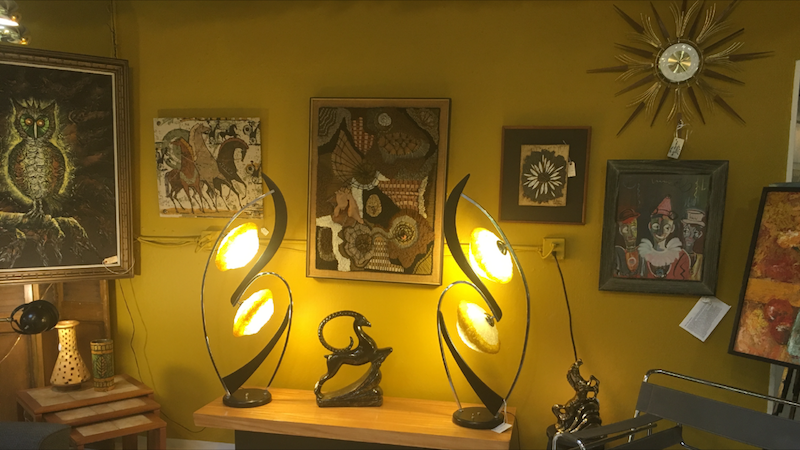 Both antique malls have a bit of retro and Mid-Century Modern and even lots of ephemera, glass, kitchenalia, vintage rhinestone jewelry, and even outdoor furniture and salvage so there really is a good mix of everything and something for everyone. Whistlestop even had their fabulous classic 1951 GMC truck out front and the lady working the register told us it had been in her family for many many years; that truck was immaculate and great for a pose. Next week is a antique fair in the neighboring town of Healdsburg and it is beautiful drive up with all the vineyards in full glory this time of year. 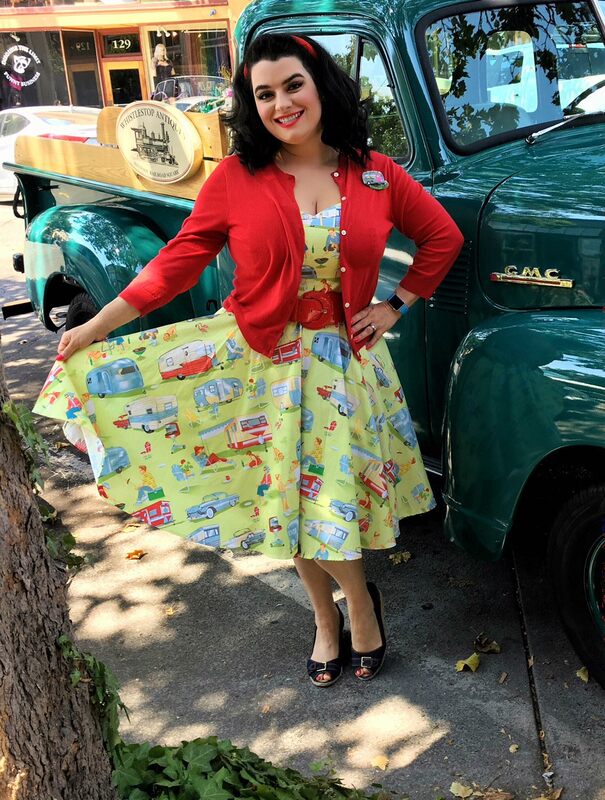 Some of you have asked about our 1956 Nash Metropolitan so I wanted to update you and tell you that it has been getting some love in the shop and we should have it back very soon so you can count on more pics to come! !